This first volume contains five stories published between 1941 and 1951 (“Nightfall” (1941), “Green Patches” (1950), “Hostess” (1951), “Breeds There A Man…?” (1951), and “C-Chute” (1951)). The eponymous Nightfall certainly deserves credit for being an extremely tight and thought-provoking story, to the extent that some write of a ‘Nightfall event’ as synonymous with the end of a civilisation. The other stories cover a range of topics, including extraterrestrials in search of a disease, and at that time very topical story dealing with the invention of shield against atomic weapons. All in all a wonderful little collection. Aside from the stories themselves, each is prefaced by a small introduction by the author featuring some interesting background information as to how he got his inspiration or how the story was received. 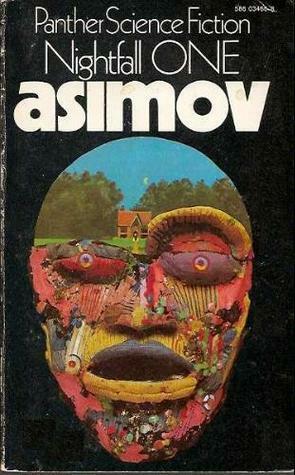 Asimov is very self-deprecating, often denying that he is much of a writer. Whilst he perhaps wouldn’t win any prizes for style, this volume shows how brilliantly fertile his mind was, and aside from entertainment value, might spark an idea or two in its readers’ minds. Sadly, Nightfall Two does not live up to the standards set by these stories.